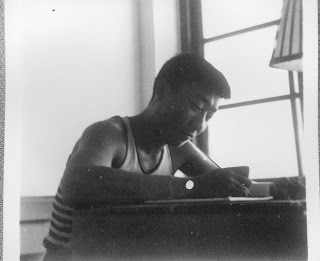 My dad was one of the earliest Chinese graduates from Georgia Tech, living in Little Five Points before it was hipster…or safe. I realized later why he looked alarmed when I told him about renting a studio in L5P. “When I was at Tech, all the Asian students at Tech fit in one classroom!” he often reminded me. “With one dollar, I could buy two Varsity chili dogs, rings and a drink.” He LOVED country music like favorite artists, Charlie Pride, Johnny Cash and Dolly Parton. Self-employed his whole life, he proudly exclaims, “I never received a salary from a company.” Scholarships and work-study aside, it was due to my father’s success as a consultant, entrepreneur and businessman, and support that helped me through school. For this, I will be forever grat eful. mall to have lunch with us. His legacy was still to come. Still working full-time as an engineering consultant and needing to send more money home to help family back in Taiwan, my dad made a major decision to try a new business strategy. The China Cafeteria restaurant model was born: fresh ingredients, a limited 10-item menu (!!) including a brand new creation, the ever-popular “Honey Braised Wings”–and daily lessons in race relations. This was the beginning of his new stand-alone restaurant and real estate model in southeast and southwest Atlanta –neighborhoods which were predominantly poor and working class, urban and black. These were the only places in the city where he could afford to buy. After 30 years, tons of chicken wings per week, ten bank loans, nine restaurants, seven types of handmade eggrolls, multiple business models, two jade jewelry stores, my dad ultimately, achieved the American dream, for all of us. Have it your way, Dad, you deserve it! That is an amazing and sweet tribute to a father who taught you so much! I thoroughly enjoyed your story, what a wonderful inspiration your Father has been. Just keep on doing what you are doing and how you are doing it.. I love seeing y’all on TV and enjoy your emails. I would love to attend a class, but, since I live in Alabama, instead of Georgia, it just is not possible.. I did enjoy seeing & meeting you at a Cooking Show several years ago in Atlanta. Thanks for the sweet note! Sign up for my newsletter, chock full of goodies, recipes, new videos, etc. for out of towners or locals! I wish I could have eaten at your father’s China Cafeteria! It was tasty and fresh, unlike a lot of copycats and fast food 🙂 Great to hear from you! What a wonderful tribute to your dad! Happy Father;s Day, Keng!! Thanks for reading and the sweet note!